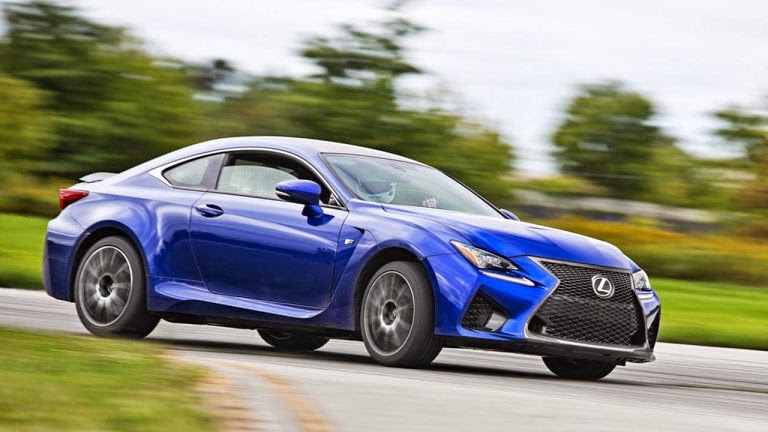 Let me start off by saying, this is the SHORT version of ...... "The 2015 Road & Track Performance Car Of The Year"
Because it was such a long write up and you really only need to know the top few along with the winner. Because who wants to read about a VW Golf (GTI), a Subaru STI, Alfa Romeo 4c, a Ford Mustang GT and a mediocre M235i vs. cars like the Hellcat, Viper, GTR and 458? Yes each car has great things about them, but again, how can you compare these cars to the high enders? Here are some fun comments about the what I like to call, the "Not-So-Much Cars:"
Even in the article, everyone just nods that the M235i is a fun car.....but nothing more. Web Editor Alex Kierstein - "Good mechanical grip. No drama … sadly, no drama." 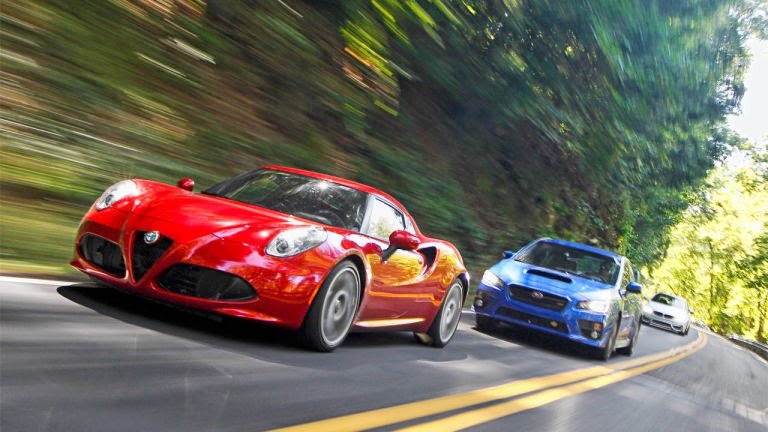 The problem is that the 4C's chassis is hamstrung by an engine and transmission that seem determined to be in the wrong gear and the wrong part of the boost curve as often as possible. Beautiful and just as responsive as you could want, the Alfa feels weak-hearted. On the track- By noon on the first day, the Alfa is mostly sitting idle as drivers gravitate for repeat sessions in more entertaining contenders. "Feels like I'm in an SUV," and most out of place in the 15-mph corners." 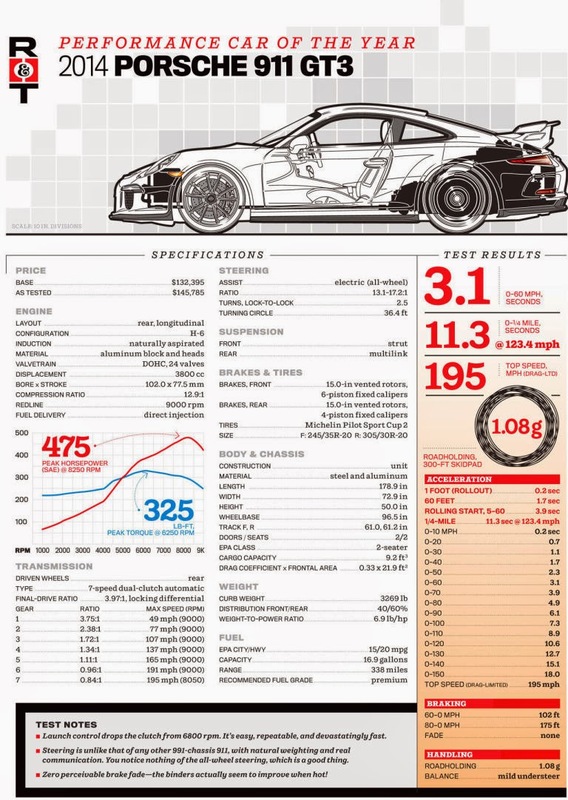 "Chevrolet Camaro Z/28 feel a bit underpowered. Welcome to 2014 where 505hp doesn't raise eyebrows anymore. Past tests have told us the Camaro will do the business on the track, but here in the hills, it has few friends." "Feels like I'm driving an SCCA GT1 car out here," Webster gripes, and Smith agrees: "It seems a million miles wide." The staff was waiting to drive the Mustang over this car. The STI and GTI are the most unlikely of fellow travelers. Why are these cars here? Price. But don't waste "my" reading time with these please. Unfortunately, thanks to a cowardly stability-control computer that never stops nannying and can't be disengaged. The number of ways in which the Lexus will sabotage your lap is legion. I take a rerun, because I initially can't get the car to shift at redline, permit minor slip angles, and/or play Guns N' Roses without warning me that my feelings were at risk. "It won't do a burnout!" Cammisa moans. It also won't permit any of the tomfoolery for which its IS F predecessor was famous. "You just want to drive like a ridiculous person," Condon says, but what does that mean? 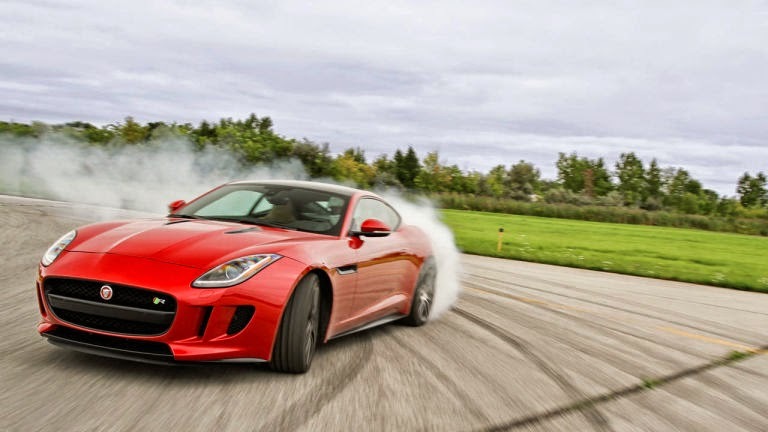 Think of the Jag as a speedboat: If you want it to change direction, it needs to be under power. The transmission that is so brilliant on the road feels disconnected and sullen here, the steering is slow, the car won't put down power midcorner in predictable fashion. It's simply not a track car, even in this R form. I'll make this short too. 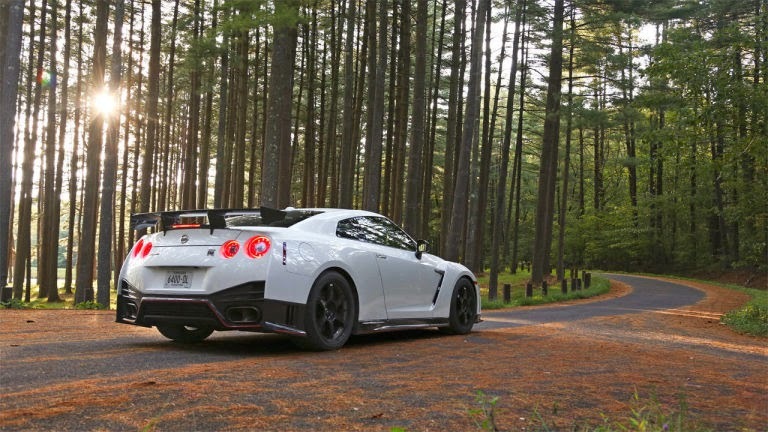 Nissan GTR- Fast but a bit to big to compete with the lighter weight cars. Ferrari 458 Speciale- Everyone loved it, but was too noisy and too much of a cop magnet for most. The writer of the article gave me chills reading how he described this car. 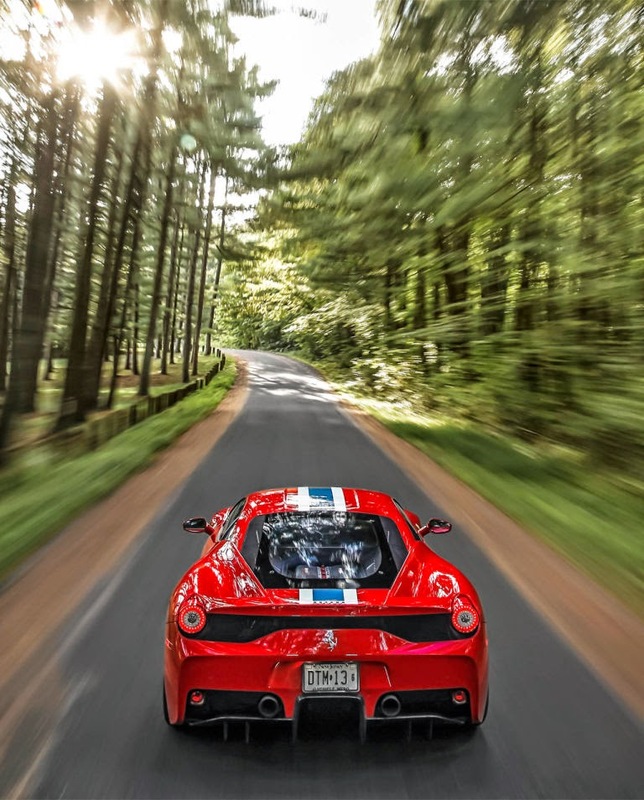 "I'm driving the Ferrari, again and again. The aluminum floor, the badass flat-panel carbon-fiber doors full of handmade imperfections, the steering-wheel shift lights. You could own this car for 30 years and never be bored for a moment. 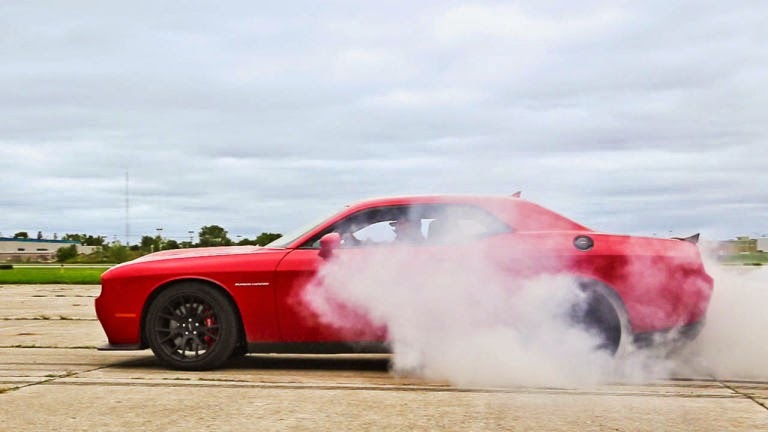 You hear it in your lungs when you ease on the throttle, and it has eyeball-squashing power in a part of the tachometer that's just for decoration on the other cars. 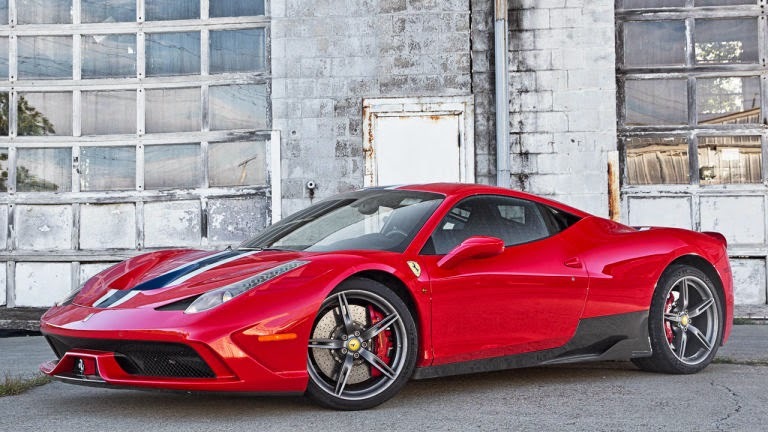 All my life, I've waited for Ferraris to be as special as their price tags, and this one is." Not sure why they labeled this as a Top3 because "Big, bouncy, truckish gearbox," says Senior Editor Josh Condon. "Feels like the old one," Editor-in-Chief Larry Webster notes, in a way that indicates it's not a compliment. 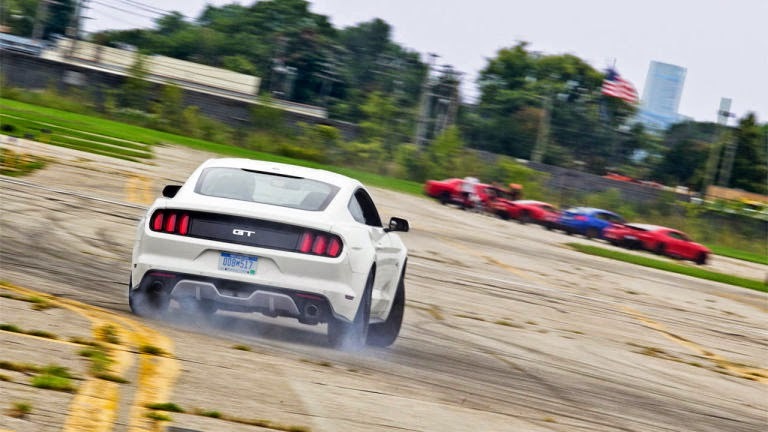 The problem, if there is one, is that this Mustang doesn't fully exploit the potential on-track brilliance of the model's new platform. Prince takes a few laps and says, "I can go faster in everything else." It's not everyone's taste, and it can't win this competition, because it doesn't inspire enough confidence in enough of us. 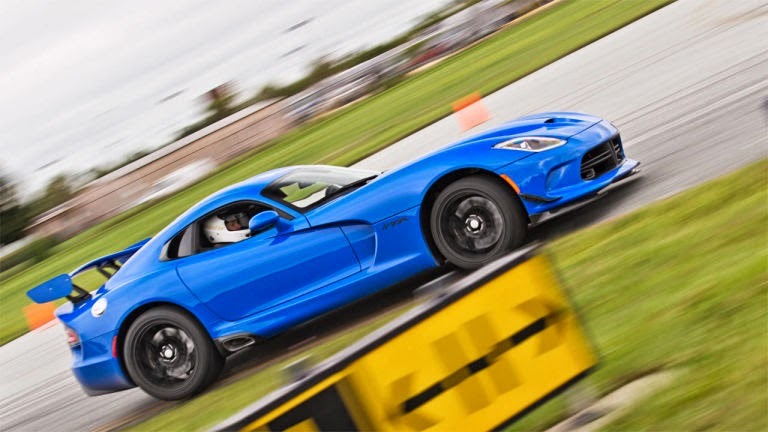 But if you speak Viper, this is the best Viper yet, and it rewards at every level. 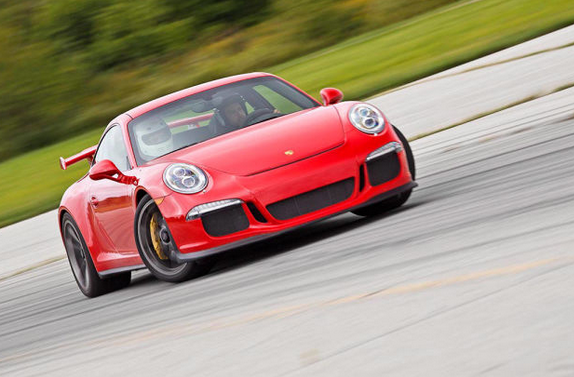 Everybody else is in love with the new, 991-generation Porsche GT3. Condon calls it "telepathic," while Kierstein offers "stellar." "This is what a 911 should feel like," Warner says. Driving the Ferrari and the Porsche back-to-back, most staffers feel they're getting more out of the latter. 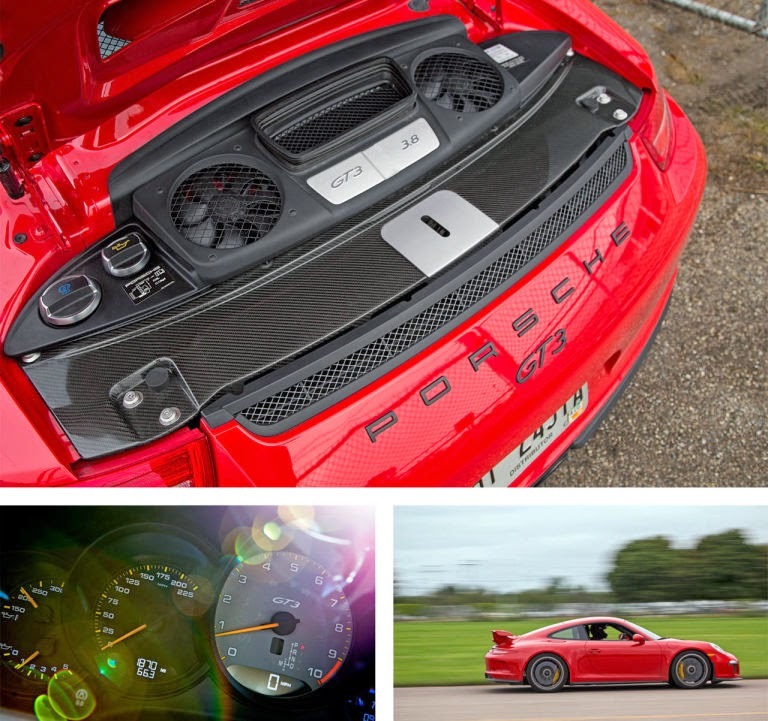 On roads this relentless, the GT3's PDK automatic transmission keeps the engine up in the rev range, delivering a spine-chilling tribute to the whoop of its air-cooled ancestors every time you nail the throttle. Then it's on to the peerless brakes and through the turn with no drama but plenty of neck-straining grip. More emotion than the GT-R, less work than the Viper, more comfy than the Ferrari. It's the belle of the ball. The first time I actually got to drive a standard transmission GT3, the gentleman I was showing the car to was scared to the bone. He had never felt that kind of power, and I was only going in a straight line. Now almost a decade later, with the PDK transmission and all the more technology that Porsche has developed in this car, I am really glad to see the enthusiasm in the writers and staff to choose this car for Performance Car Of The Year.